Today sees the release in the UK of the film Moneyball, by the makers of the Oscar winning film, The Social Network, and featuring Brad Pitt as another modern American hero, the Oakland A’s general manager, Billy Beane. It’s based on the book of that name by Michael Lewis subtitled, The Art of Winning An Unfair Game and tells of Beane’s attempt to put together a baseball club on a budget by employing sabermetrics, the analysis of in-game activity developed by Bill James. James was a baseball tragic who looked long, hard and with fresh eyes at why baseball teams win and lose. His ideas were so ‘left field’ that he had to publish his own books in a bid to reach an audience. Beane, who felt that in his own career his true talents and potential were never properly made use of was drawn to James’ theories and insights which valued a player untraditionally, focusing on the players real contributions to winning and, importantly, not losing. Rather than look at pitchers in the conventional way, he looked at which allowed runners to steal the most bases. Rather than concentrate on runs scored he concentrated on runs created. His concept of the ‘Range Factor’ turned appreciation on its head from over-valuing attack to revaluing a player’s defensive contributions. His ‘Defensive Efficiency Rating’ showed the percentage of balls in play that a defense turns into an out. And his ‘Pythagorean Winning Percentage’ produced statistics explaining the relationship of wins and losses to runs scored and runs allowed. Using sabermetrics, Beane was able to spend his pint-size budget signing players from the draft that the big teams were overlooking. The Oakland A’s dominated baseball … until the big shots started using the same approach. Perhaps the biggest lesson that cricket could take from James was his refocusing away from runs scored onto runs allowed. 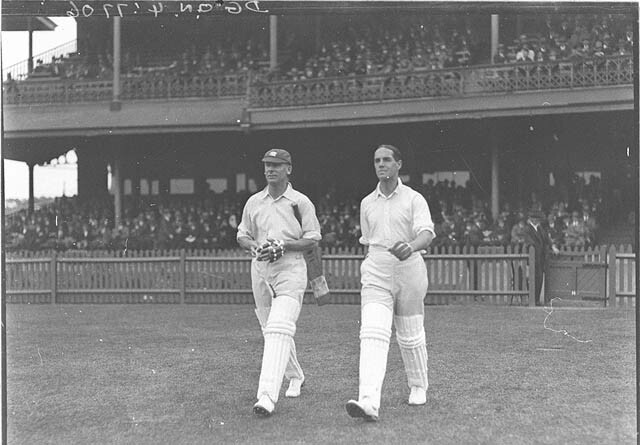 As the motivation behind the organisation of cricket moved from gambling to Arnoldian Muscular Christianity and the virtues necessary for those capable of administering an Empire, the spot light, the laws and the glory were focused on the ‘art’ of batting – you know – bowling is indeed a manly activity but batting is gentlemanly. Even the full professionalization of the game has never really exorcised that Ghost in the Game. Limited overs cricket has increased the appreciation of the value of fielding. Modern tail-enders who were once encouraged to have a swipe and make way for the main action are now expected to contribute runs. But the glamour remains with the top order batsman. Sides must have six of them AND the keeper must be able to bat even if he misses the odd catch and is unlikely to stump an opponent unless trips over yards down the track. Regular readers will know that Third Man, who started his days when the Squire and his fellows paid him to bowl at them on club practice nights at Hambledon and remembers, as if it was yesterday, the Varsity cricketers coming down in the summer and taking up the batting places in the precursor to the County Championship, is always vexed when the Man of the Match award goes to the batsman getting 174 out a total of 600 on a ‘road’, when a bowler in the same match who has taken ten wickets is left to enjoy a beer in the ice bath. No one can deny that a ‘fifer’ is a tougher ask in Test cricket than a century, yet both secure a coveted place on the honour’s board. For many cricketers, it’s an unfair game, where the opportunities and the subsequent rewards don’t necessarily go to those most able to contribute to winning. In cricket, its Moneybat … until that is someone comes up with a formula for calculating the true worth of a player’s contribution to winning. Unless the Squire is planning economies among the staff at the Great House, this task may account for His recent preoccupation with a thick tome entitled, Human Resource Accounting. 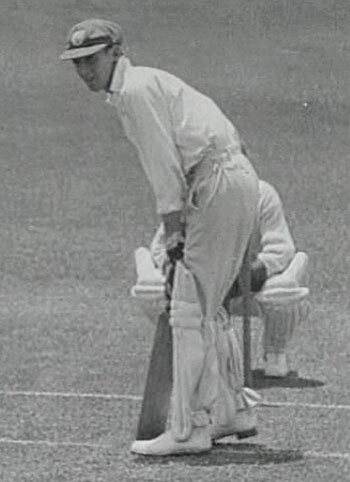 Did A.A. (Archie) Jackson manage a snooze before he came out to play his first innings for Australia? Usman Khawaja did just that during the lunch interval immediately prior to taking guard on day one of the final Test in Sydney a few hours ago. There are some parallels, not least in importance being first deliveries after lunch breaks, the first in Test cricket for Khawaja and for Jackson … well let’s come to that in good time. Like Usman, Archie was not born in Australia. 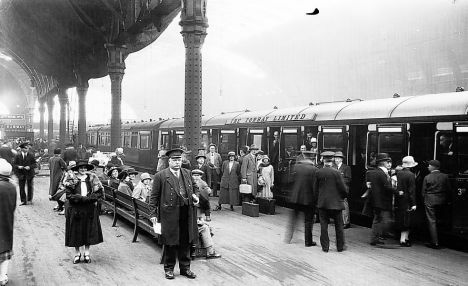 He was a Scotsman from Rutherglen in Lanarkshire. 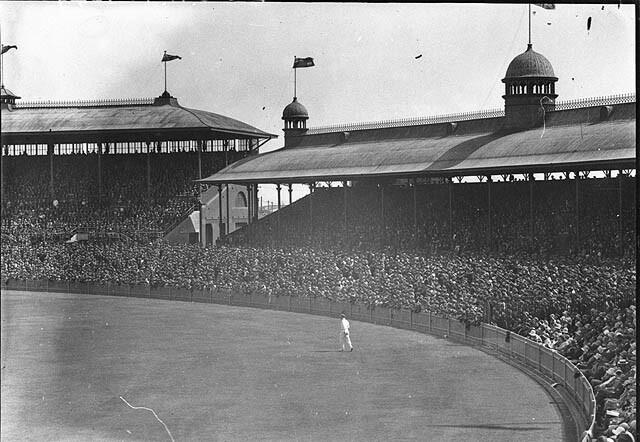 He arrived with his family in Balmain, Sydney as a 12 year old in 1921. 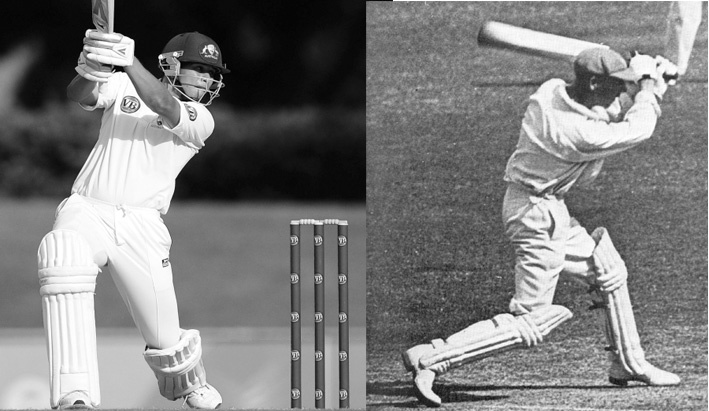 Like Usman, Archie also played for New South Wales, where he began his first class career at the age of 17. 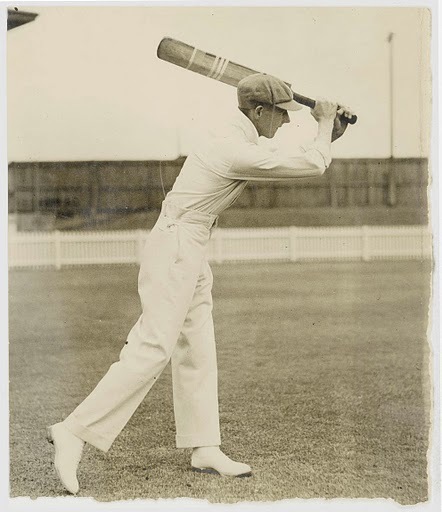 He toured New Zealand with Australia a season later and received his cap as a nineteen year old against Chapman’s MCC side in 1929. The parralels continue as Jackson was brought into the side to replace a great star and team fixture, in his case V.Y. Richardson. Australia were then as now being forced by retirements, injuries and age to rebuild their team. Their situation was even worse. They were three nil down in the series and no less under the cosh off the field, where the Australian press and supporters were giving them as good a bashing as their opponents. Third Man has described the three previous Test in the series, all won by England at Brisbane, Sydney and Melbourne. 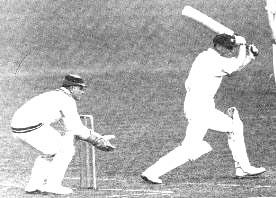 In the fourth Test, At Adelaide in the first week of 1929, England batted first and when Hobbs and Sutcliffe had taken the score to 143 it looked as if Australia were yet again rolling over in front of the English juggernaut, but beautiful bowling by Grimmett (52.1 overs 12 maidens 5 for 102) kept Australia in the match despite yet another undefeated century by Hammond. 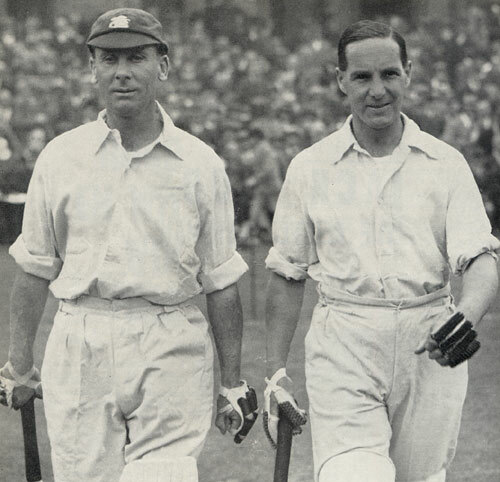 Bill and an apprehensive Archie already haunted by the illness that would kill him two and a half years later at the age of 23 walk out to bat during the 1930 tour of England. Jackson walked out to open the batting with Woodfull but in the flash of an eye Australia were 19 for 3 with Tate, Larwood and White doing the damage. England’s 334 all out looked a very long way off. It is not hard to imagine the invective from the crowd and estimate the intoxicating mixture of tension and self-belief experienced by Jackson. Third Man does not doubt that Archie like Usman after his knock today would have described his first experience of Test match batting as ‘fun’; fun, fun, fun. 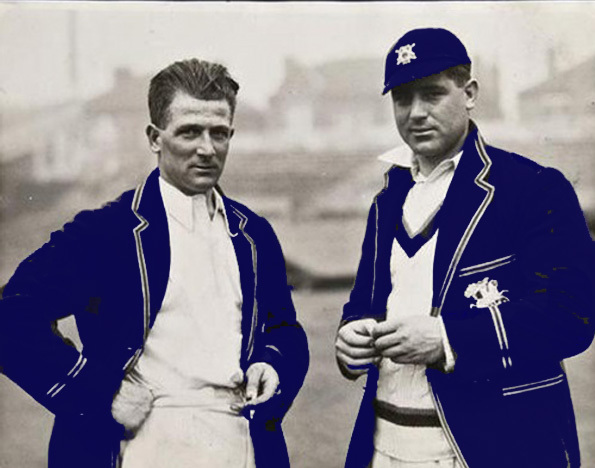 Archie’s, though, was a much more extraordinary baptism as, joined by his captain J. Ryder, he proceeded to give an apparently nerveless exhibition of brilliant stroke play with delicate glances, wristy cuts and searing drives all made under considerable pressure from good bowling. This photograph (right) hints at the lightness of his footwork. 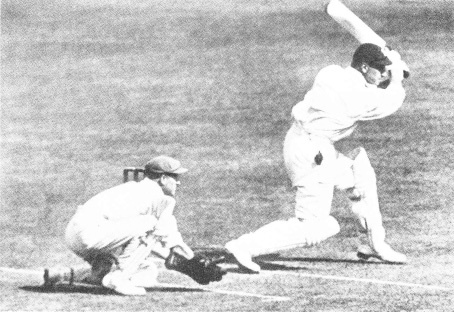 J.C. ‘Farmer’ White the Somerset slow left armer had manacled the Australian batsmen throughout the series, bowling shorter and flatter deliveries that were hard to get away and which bought time for Tate and Larwood to recover in the intense heat. But Jackson was the first Australian in that series to ‘jump in’ to drive White in the grand manner of a Hobbs (see Jack, How Did You Do That?) 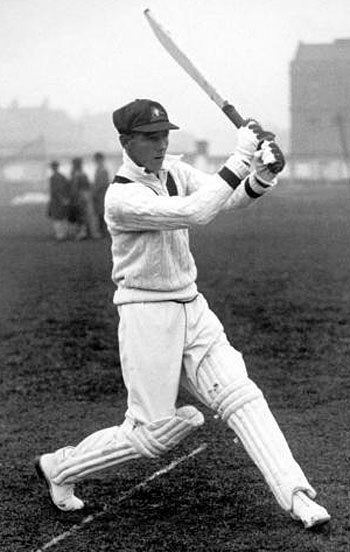 or, whispering it carefully, the young man’s hero, Victor Trumper. At lunch on the third day Jackson had painstakingly taken his score to the precipice that is 97. 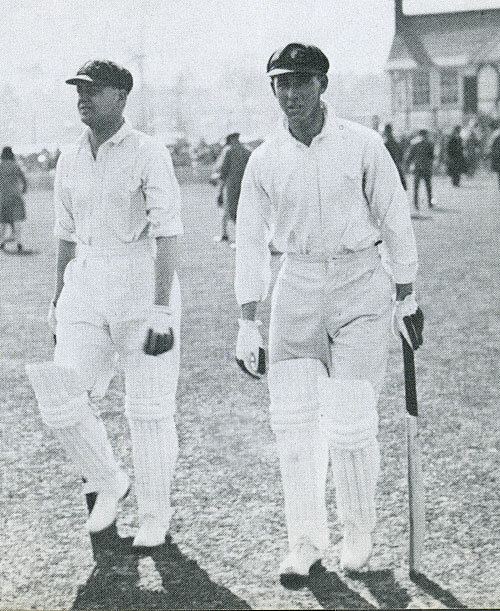 As the players resumed the field, Chapman called back a refreshed Larwood to the attack inorder to squeeze every possible ounce of potentially paralyzing anxiety out of the situation. Top of the handle and a very straight front leg. The Nottingham Express himself describes his first ball after that lunch break, eighty two years ago. “With 97 runs against his name and having had his back to the wall, he cover-drove me to bring up his hundred. That ball was delivered as fast as any I had ever bowled previously. Today, England were probably very glad to see the back of Usman Khawaja, sweeping against the turn as (urgh) young men are tempted too easily to do. 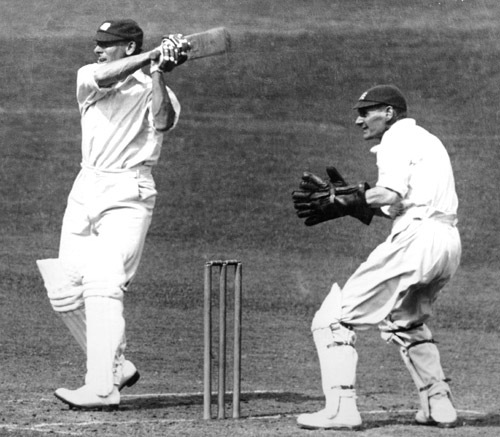 But England in 1929 had to wait until Jackson was 164 before he was lbw to White. What are the odds that he too was sweeping against the turn?